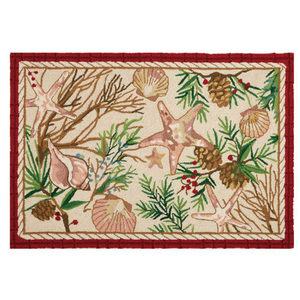 Complete this year's Holiday look with this Festive coastal Rug. Warmly decorated with shells and starfish with lots of Holiday charm! 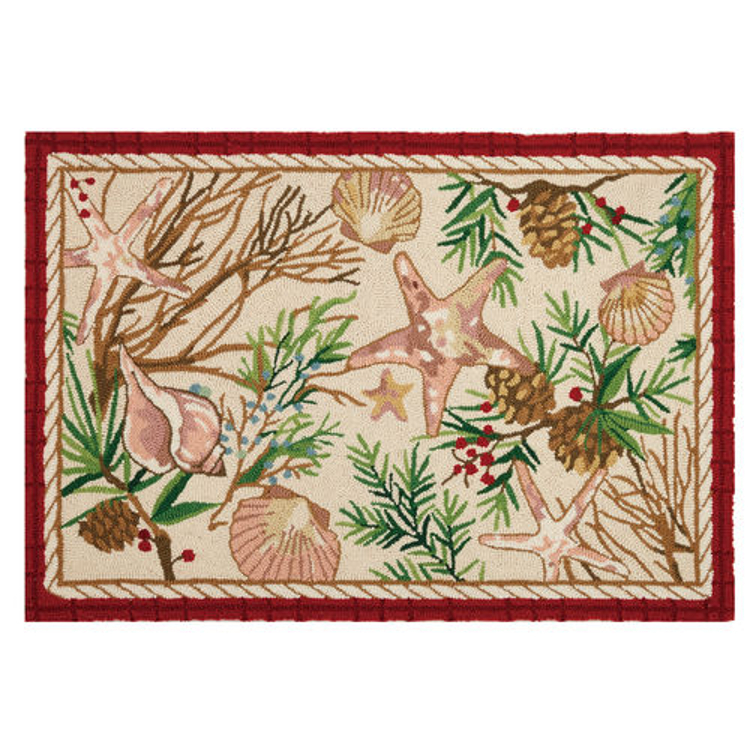 This Coastal Hook Rug is 100% wool and cotton.